A homeobox is a segment of DNA about 180 base pairs long that is found within genes. It bonds with proteins in which it resides in a DNA-binding homeodomain about 60 amino acids long encoded by the homeobox. The protein is a major building block of an organisms genome structures such as appendages or antenna. Homeobox genes, or genes containing a homeobox, are thus a viable model to interpret or predict, and in manipulation control embryogenesis of these structures and thus ultimate phenotype expression of homologous structures that constitute multicellular organisms. In 1983 Walter Jakob Gehring and his colleagues at the University of Basel, Switzerland observed the homeotic genes in the common fruit fly, or Drosophila melanogaster. Before this unique discovery, it was not thought that the same genetic mechanism, namely homeobox genes, were at play for both invertebrates and vertebrates alike. Hox genes are a subgroup or subset of homeobox genes. Within vertebrates they can be found in gene clusters on chromosomes. 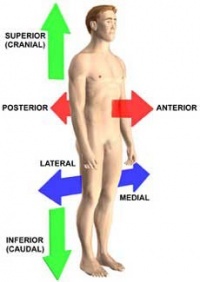 They regulate development of the anterior to posterior axis. It is important to note that only genes in the hox cluster should be considered hox genes and the gene name hox is restricted to only hox cluster genes in vertebrates, while the homeobox is the overarching encoder for the homeotic genes to begin with. A hox cluster is a grouping of homeotic genes, called hox genes in vertebrates. Clusters of genes turn on in sequence to determine the overall body pattern from the front to the back, and top to bottom. Genes cascade down like waves rushing ashore which then lay out increasingly localized structures. These structures which ultimately become segments of an organisms body are identified by the homeotic gene. In other words the fate of a given segmented structure is determined by the expression of specific homeotic genes within that organism. Evolutionists claim that even minor mutations of hox genes could lead to an outcome of radical genome change, enabling the evolution leap of change able to produce the diversity of life observed. The outcome of evolving genomic structure is seen by evolutionists as genes potentially responsible for a punctuated equilibrium pattern of change. Hox genes and natural selection form a relationship and produce from the simplest molecule the diversity of life. The potential of an evolutionary path in accordance with Stephen Jay Gould's punctuated equilibrium through hox gene manipulation ultimately requires extrapolation from what is observed by manipulating hox genes, namely different phenotype disfigurements or expression fates. The expression fate of hox gene clusters when experimented on by scientists is always of a phenotype change, and conclusively very limited for true Gouldian punctuated equilibrium. Scientists have recently developed specific organism models to conduct future testing of this very exciting field of genetic research. Allowing the organism Parhyale hawaiensis to be studied genetically has opened up new doors into the workings of evolutionary development within segments that make up the organisms full body. ↑ Probing the evolution of appendage specialization by Hox gene misexpression in an emerging model crustacean Anastasios Pavlopoulos, Zacharias Kontarakis, Danielle M. Liubicich, Julia M. Serano, Michael Akam, Nipam H. Patel, and Michalis Averof. Proc Natl Acad Sci U S A. 2009 August 18; 106(33): 13897–13902. This page was last modified on 18 March 2014, at 20:56.